With Syria’s civil war to its south and renewed conflict in Kurdistan, Turkey faces growing instability. But perhaps the greatest threat is a Putin-style autocracy. Ankara—Things are not going well in Turkey as it faces new elections this Sunday. Two major bombings have traumatized the public in the past six months, one of them in the capital at the beginning of October. President Tayyip Erdogan, once seen as an advocate of political pluralism and European integration (with all the freedoms that move implied), has become Turkey’s equivalent of Dr. Ben Carson. He claimed this week that a pro-Kurdish rival to his own Justice and Development Party (AKP) is being advised by the Obama campaign team (this is not true). He seems determined to hold the entire country hostage to his ambition for an imperial presidency. The government is blaming Daesh (ISIS, ISIL) for the October 10 bombing in Ankara of a peace rally of Kurdish activists and leftists that killed 102 and wounded hundreds more. The atmosphere here in Ankara is still tense and depressed. I met people who had just come back from memorial services for dead friends. Not everyone believes the government story about the bombing. People are wondering where the country is going, and the sense of optimism and growth seen a decade ago has evaporated. Direct foreign investment in the country was expected to be flat this year even before the turn to turmoil. Political uncertainty threatens the economy. Erdogan was hoping that his party would pull off another majority in the June elections this year, but it came in with just a bit less than 41 percent of votes. Some votes were stolen from it by a new kid on the block, the People’s Democratic Party (HDP). This pro-Kurdish party campaigned on multiculturalism, feminism and left wing economic policies. It put together a coalition of Turkish Kurds (some twenty percent of the country’s 75 million people) with left-leaning voters. Even conservative Kurds, who had often voted for the ruling AKP, swung to the new pro-Kurdish party. The HDP got 13 percent of the votes. In late July, Ankara appeared finally to agree to join the air war against the minions of “Caliph” Abu Bakr al-Baghdadi. But despite dropping a few bombs on Raqqa in Syria, The Turkish air force concentrated massive fire power instead on the havens the PKK had gained on the Iraqi side of the border, in Qandil and its hinterlands. With the peace process forcefully abrogated, the PKK guerrillas launched terrorist attacks on civilians and guerrilla actions against Turkish soldiers and police. Turkey has also attacked Syria’s Kurdish YPG militia, even though the latter is a US ally against Daesh. It may be that Erdogan hoped to polarize the country between Kurds and Turks in order to hurt the new popularity of the HDP, which is pro-Kurdish but opposed to violence. Some intellectuals I talked to in Ankara believe that he deliberately threw the country into insecurity in hopes of lowering turnout on November 1, since his big and still-popular party would probably benefit if fewer Turks go to the polls. The polarization has led to nationalist goons attacking HDP offices and journalists. 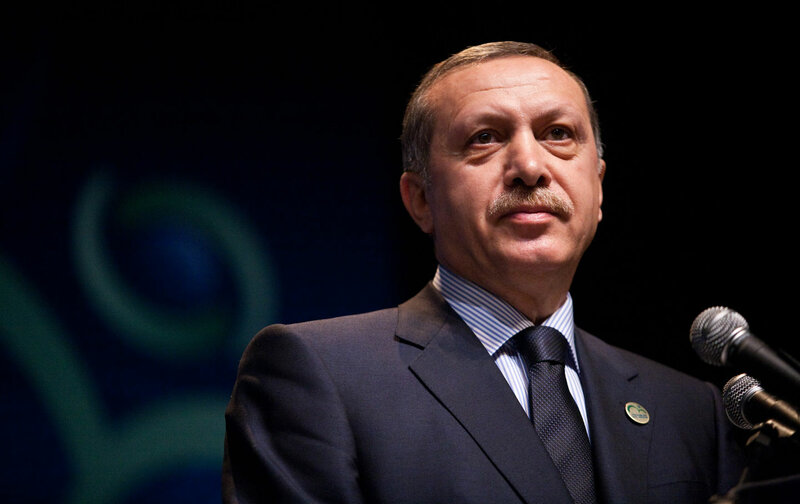 Erdogan has been accused of not waiting for a constitutional change, and of simply ruling as an imperial president by fiat during this period of minority government. Even his former comrade Abdullah Gul has turned critical and is said to be thinking of forming a new party. Critics are troubled by the government’s crackdown on the press, never very free but now increasingly less so. In September, a magazine was raided over an editorial cartoon that lampooned the president for his remarks at the funeral for a soldier killed by the PKK, in which he speculated that the boy’s family rejoiced at his martyrdom, saying, “How happy is his family and all his close relatives, because Ahmet has reached a very sacred place.” The admittedly harsh cartoon showed Erdogan taking a selfie at the ceremony, but it is difficult to imagine it being suppressed in a real democracy. Wednesday, the government seized the 22 companies of the Koza Ipek business conglomerate, and closed its Istanbul television station, on the grounds that it may be linked to or funding the Gulen religious movement, which has turned harshly critical of the Erdogan government after having earlier been allied with it for years. The closure of opposition media on the eve of an election raised danger flags for many observers. Opinion polling in Turkey suggests that the new parliament is unlikely to be very different in its composition from the one elected in June. If Erdogan’s erratic behavior this summer and fall has been an election ploy, it seems to have failed. Prime Minister Davutoglu will likely be forced into an uneasy coalition with the centrist Republican People’s Party (CHP), a strongly secular long-time critic of Erdogan. With Syria disintegrating on its southern border, nearly two million Syrian refugees in the country, and a new front opened with the PKK in western Iraq, Turkey faces potential instability. But perhaps the greatest threat is a Putin-style autocracy implemented extra-constitutionally by Erdogan, which could return Turkey to the economic and political stagnation of the 1990s.